Join us for the El Rio Toy Run Ride! Join us for the Monthly Meeting & Ride to El Rio on Saturday, December the 8th, that will take us about 0 miles. 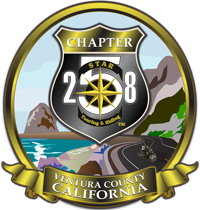 Starting at Grinders in Moorpark at 0730, our Ride Captain, Danny, will lead us safely through the roads and have us back around 1200. The El Rio School District Toy Run is a really great event that we have supported as a Chapter for the last 7 years. This year the organizers are expecting 500 kids so we really need everyone to support this one! Please note that the meet time is 7:30 AM and we need to be on the road by 8:30AM - so don't be late! The "Entrance Fee" for this event is two unwrapped toys per person (Rider and Passenger) so please get 1 gift for a boy and 1 for a girl and bring them with you to the meeting. The route is usually a winding ride through some back roads in the area and ends up at the school with all the kids and families cheering for the Bikers! It really gives you a great feeling to be able to help these kids and families - so don't miss it! May make the meeting, unable to do the ride or ride planning meeting. However, I’ll remain the Sgt at Arms and Tailgunner if so elected!! We won’t be going on the ride but will be there for breakfast/meeting. Health, both personal and pets are issues! Miss everyone!!! This is one of my favorite rides and I hate to miss it! BUMMER WE REALLY MISS OUR RIDES WITH THE GANG. IT IS JUST TOO FAR FOR US AT THAT TIME IN THE MORNING.